An Open Letter to Netgalley and Goodreads | A Book. A Thought. 4 December, 2017 12 November, 2018 / Sofii @ A Book. A Thought. For those who aren’t aware of what is happening, NetGalley, a platform used by all of us, has decided to prevent International bloggers/readers from requesting any of their titles, only “wish” for them. On the other hand Goodreads has decided, as of January, that their Giveaways stop to be internationals, they’ll only be for US residents. Personally as an international blogger this makes me feel deeply sad, my blog has just completed its first year, I love this community is full of wonderful people and the only thing I’ve always wanted is to share my love for reading with all of you, I will never give up with this, I have a lot of fun here and it’s something that gives me great satisfaction to do, Plus: I really love you all so much, but even so, what is happening is undoubtedly unfair, we deserve something better. From the beginning as an international you know that there’ll be alot of difficulties in the way, you know that you have to work harder to become relevant, and even then, most of us have tried it anyway, because we feel passionate about what what do we do. Right now I feel a lot of disappointment,I think our work and content is as valuable as anyone’s, we love what we do and we deserve more respect from these people. I really would like you to read this post, Laura has done an excellent job explaining in detail what is happening. This make sure me so sad! I’ve always loved Goodreads and NetGalley, but this just seems like an awful practice! I truly hope they will reconsider in order to be inclusive towards the entire book community! I’m glad people talk about it. The more we talk the better our chances for change. That’s pretty ridiculous. I can understand a shipping cost issue, but like you don’t have to ship an E-book. I know not everyone reads e-books, but if it’s a shipping thing, that fixes the issue. I think that if enough people are annoyed and discuss it, like Book Twins Reviews said, that maybe they will re-think their policy. It’s not fair that in 2018 when everyone is uber-connected that US-based company’s cut off the rest of the world from enjoying their services. I don’t think Goodreads realizes how much support they’re most likely going to lose by putting this into action. It really is sad what they’re doing. This is HORRIBLE!!! WTF!!!! Goodreads and NetGally have made their bread and butter from readers all over the world for FREE! Now that they have gained a following they have forgotten where they came from. I also had NO IDEA about the Netgalley issue, so thanks for bringing that up– how ridiculous! Publishers already turn readers away based on their country, so I don’t understand why Netgalley would press the issue more. Omg I didn’t know this about Netgalley! I did wonder why I could only wish for the few books I requested lately. This is terrible. Don’t they know that America isn’t the only country in the world? In fact the UK have a lot bloggers. I guess they can run as they see fit but alienating certain countries is not a good way to do business! Ahhh, this is so sad 😦 I hope they decide to change their mind. It seems like everything is going crazy lately, and now there’s these horrible decisions by NetGalley and Goodreads. I realize how fortunate I am to be a US blogger, and yet I have many international blogger friends. I am upset for them because of this. Also, as a self-published author the Goodreads choices make things even harder for me. There is no way I could afford to run a giveaway. However, I am more than happy to send electronic copies of my book to any blogger (US or International) who wants to read it. All I can say is that Goodreads is owned by Amazon, and we have all seen Amazon make some questionable decisions when it comes to the handling of the book industry/reviews/book community the past few years. Let’s hope that these decisions are reversed quickly. That feels like a cop-out answer. I mean, I know the publishing industry has to deal with international publication rights and restrictions and all that, but it honestly doesn’t explain why all of the limitations are increasing here in the next few weeks. I did just find an article saying Net Galley launched country specific versions of the service in the UK and Japan last month, so it’s possibly they’ll expand that into more territories. This makes me pretty sad! They’re our only hope for getting ARC’s. I really hope they reconsider their decision! Goodreads will also be charging anyone who wants to list a giveaway, which is LAME. Were I an author, I don’t know that I would spend the amount they want to charge to have my book gather dust on a someone’s shelf. Omg are you serious? Thankyou for your post I really didn’t know about this. This is unfair and uncalled for because so many international readers/bloggers use netgalley in exchange of honest reviews. And I’ve always loved netgalley and Goodreads so much, it feels like being robbed of something personal. i participated maybe once in a goodreads giveaway and i do not request a lot of arcs on netgalley, but i am very sad about this news. this limitation is just unfair, to everybody international but also for every author who wants to do a giveaway. we international bloggers are important. we spread the news about new books, new authors and we matter. so i don’t get why these decisions were made. this is just sad. I’ve never gotten anything from either service, and I live in the US, but this was still upsetting to hear about. I’m not sure what the reasons can be for doing this, because it just seems downright strange–especially Goodreads switch. I mean, I can understand NetGalley not wanting to do international shipping because it’s expensive, but authors pay the shipping for Goodreads. Just weird and sad. And why they can’t do ebooks still is beyond me. Just boo, all the way around. I didn’t know that about NetGalley. Just makes the whole thing even stranger. Here’s hoping! Great post. I felt bad “liking” it, if you know what I mean. I’ve been made aware that NetGalley is severely limiting the number of titles that may be requested from readers living outside America. That’s such a shame. I’m a native English speaker who is living and working in Japan. 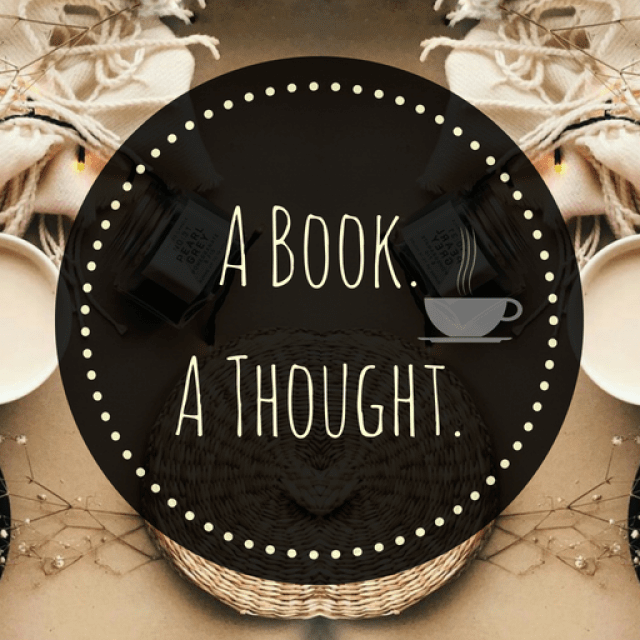 I review books on my blog and have enjoyed the use of NetGalley since the beginning of the year. I cannot read Japanese at the level required to read books, so the Japanese NetGalley site isn’t an option for me. Can I ask why you feel it necessary to limit digital ARCs to readers living in the USA?